Safety and Protection Specialists in the UK. Event security is more important today than ever before. Especially when it comes to keeping international and domestic guests, clients, or even businesses safe. We keep you safe from harm while maintaining comfortable, discrete protection that goes almost unnoticed. 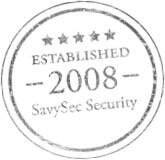 At SavySec Security, we’ve spent more than 10 years providing the very best and most reliable security for businesses. Whether it be private individuals and high-class events all over. 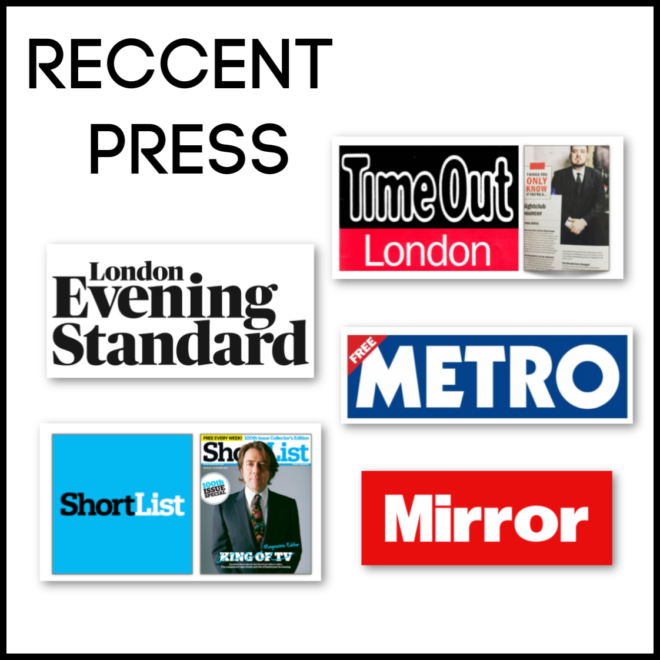 We cover London, Kent, Essex, Surrey, Hertfordshire, Buckinghamshire, and more. In fact, we maintain such a high success rate and great reviews because we really work hard to do the job right. We utilize the best of our security team in the right way. We also provide ample pay and work opportunities far above our competitors to our dedicated event security, and work hard to build and maintain positive relationships with every client. The SIA Event security have been highly trained on not only how to react safely during a situation. They know how to provide excellent customer service and how to blend into the environment. Making sure we do not detract from our clients’ goals, and to use progressive levels of safety as to not escalate a situation any further than required. We work hard on our training, support, and reputation because we hold our company’s ethos “Why be the biggest when you can be the best” close to our hearts and value every client, business, event, or brand we get to protect. While there may indeed be a lot of different security needs and a lot of different events to support, we’re proud to say that we’ve been trained on how to handle the vast majority! More importantly, we put the right team together based on your specific needs to ensure we satisfy your niche service offering from end to end. All SIA security, to work, must be registered, SIA badged and vetted for their license to be validated by the Security industry authority. How it works is quite straightforward. We work with our clients to choose a safe, effective course of action. We create security and safety solutions to meet your needs and the venue requirements, and we continue to maintain a positive and collaborative effort from start to finish with the security we deploy on site. These efforts are backed further because we maintain and utilize an incredible reliable roster of SIA event security professionals that can handle on-demand and full-time workloads, depending on your particular request. Performing Body and Bag Searches. Recording Entry and Assisting Speed of Access (If Needed). Creating a Safe Environment for Attendees Enjoyment. Liaising with DPS, Clients, Promotors and Venue Management. Constant Collaboration with Event Officials. Working with various police, medics, counter-terrorism officials. 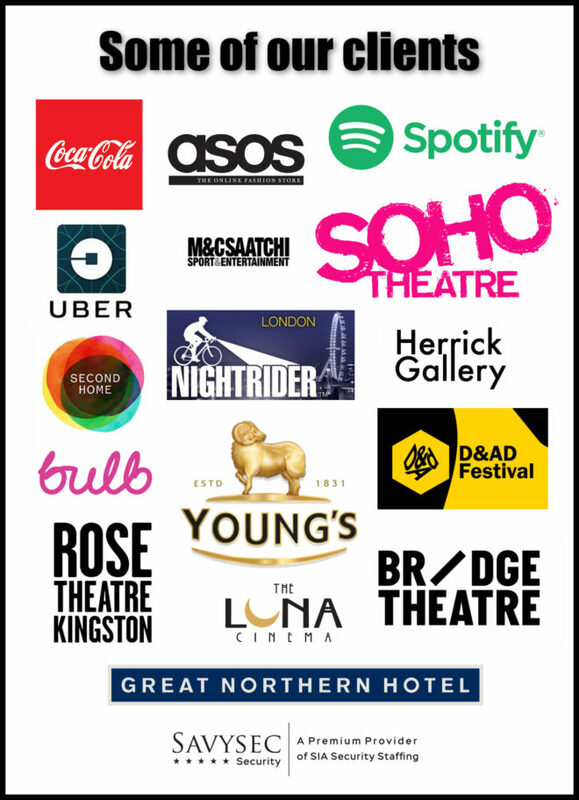 Savysec security has had a great opportunity to support a range of renowned businesses and venues.